If you’re purchasing a home, your official moving date will have to be confirmed by both the house sellers and your conveyancers. If you’re renting, you might be able to more flexibly spread out your move over a series of several days. Try to get as clear and concise an answer as possible, and make plans in case things take slightly longer than you initially expected. While it might make sense to wait until the end of your lease to move, this might not always be the case – although it’s usually the most convenient time as you will avoid any overlap in rent (nobody wants to pay for two properties at once). Regardless, make sure you give your landlord plenty of notice to avoid unnecessary charges. 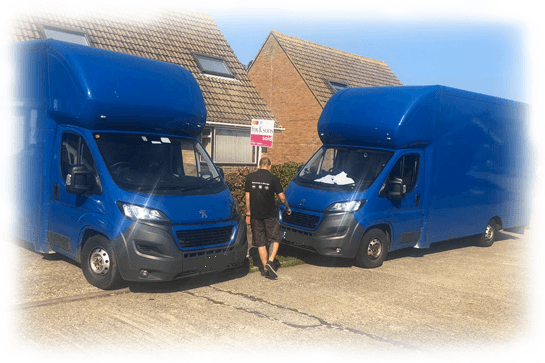 Your budget, the size of your new property and the number of possessions you have will ultimately inform your removal company choice. At the London Removals Company, no job is too big or too small. We’ll price-match any genuine like-for-like quote and ensure that your valuables and personal belongings arrive in perfect condition. Let each of your energy and utility providers know that you’re moving house – you may wish to move your current contracts over to your new property, or you may wish to find a better deal. Just be aware that switching services like phone and broadband from one property to another could take several weeks. If you’re going to be without connectivity, ensure you download any important documents (instructions and directions, for example) in advance of your move. Finally: kick back, relax and enjoy your new home. For more information about our removals service, contact us at London Removals Company today on 0203 807 5045.